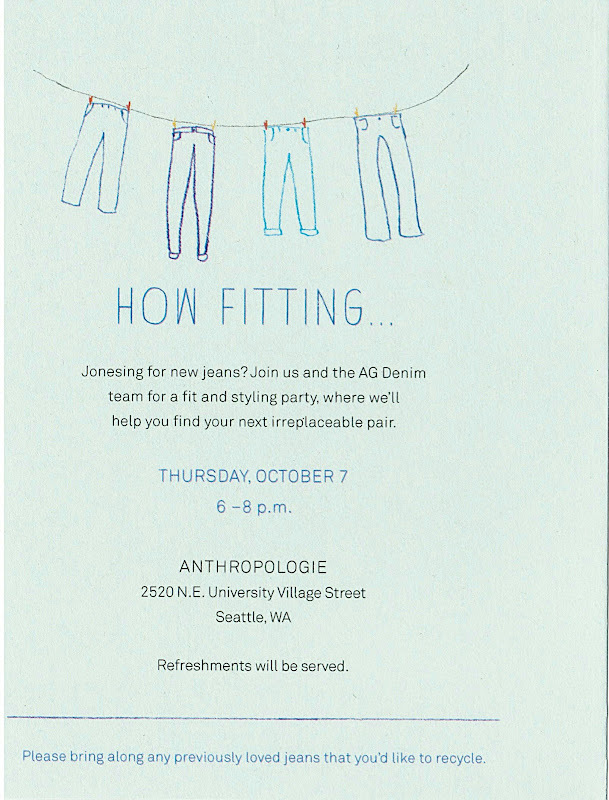 If you are around tonight, the University Village Anthropologie location is having an AG Jeans fitting. Kathryn & Carol from In Pursuit of Pretty Things, went to the one at their local Anthro and had a good time. So if you're feeling some Anthro love and want some refreshments and jean fitting, head on over TONITE!